The key to effective reading is clear interface and modern annotation tools. This makes your reading more natural and comfortable — almost like working with a sheet of paper. Edit PDFs. Now it's possible. 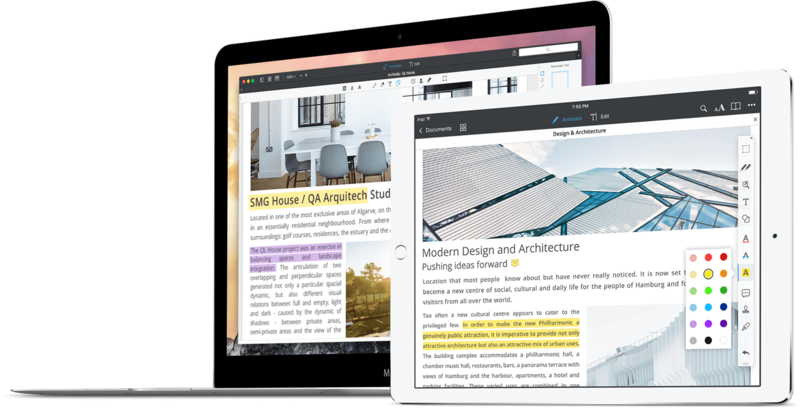 PDF Expert revolutionizes PDF editing. Edit a contract by fixing that typo, update your CV or adjust an invoice stating the correct amount. Anything can be edited and fixed. Leave that hefty PDF document for a sleeker, slimmer file that can be easily shared by email. Cmd + N. This is everything you need to know about creating new PDFs in PDF Expert. It's easy! 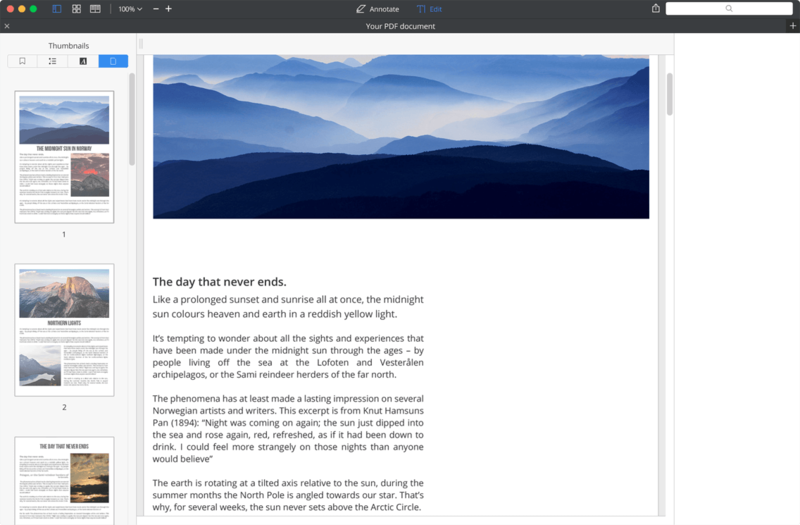 Merge files, add blank pages or delete existing ones to create unique documents. So when it’s time to update your presentation or run research, PDF Expert will take care of it. PDF Expert can easily extract a few pages of your contract and send them out quickly for review. Combine files from different sources and share your project's materials in a few clicks.